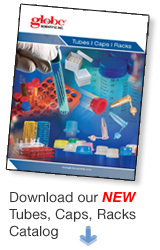 Globe Scientific offers 2 styles of drying racks. 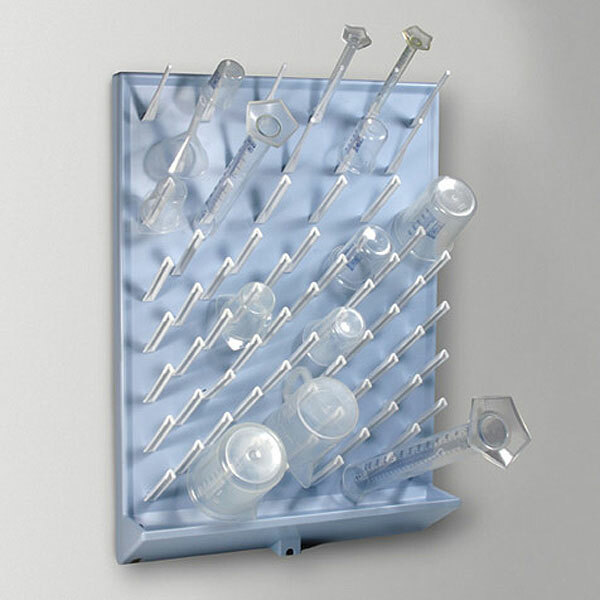 The heavy-duty high-impact polystyrene (HIPS) wall mountable rack features a seamless drip channel and comes complete with wall mounting kit. 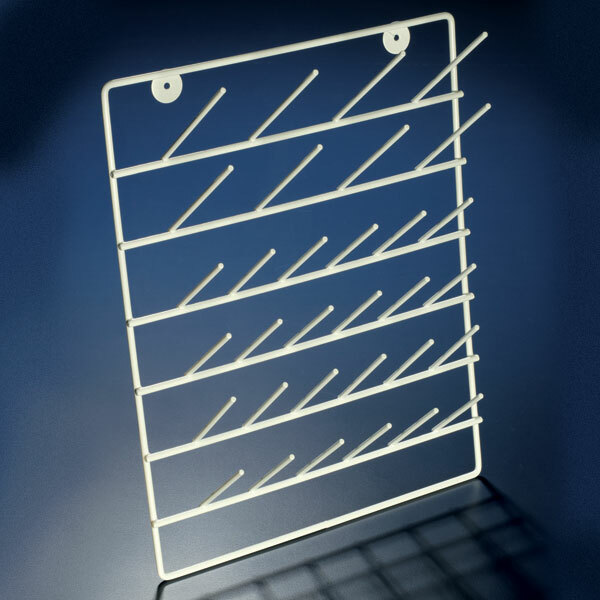 The smaller polyamide epoxy coated steel drying rack can be mounted on a wall or used as a free standing rack.